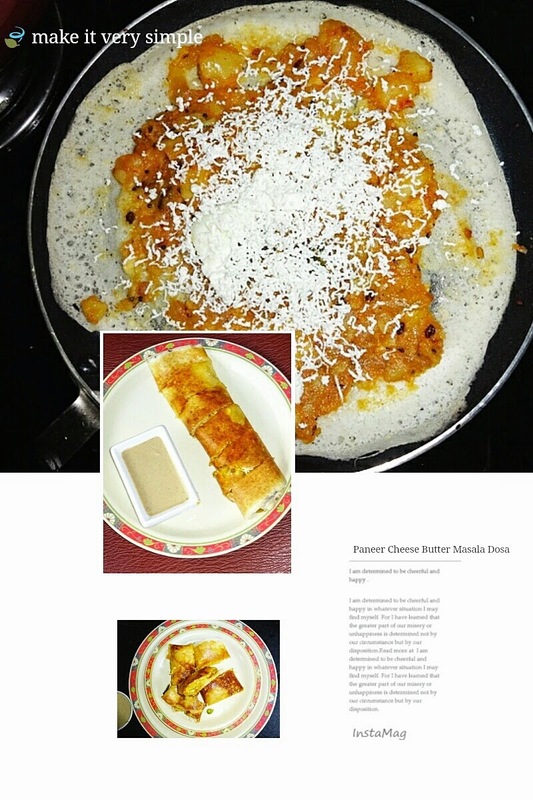 Today I am partaking in very interesting fusion recipe of paneer, cheese, butter and Masala dosa. 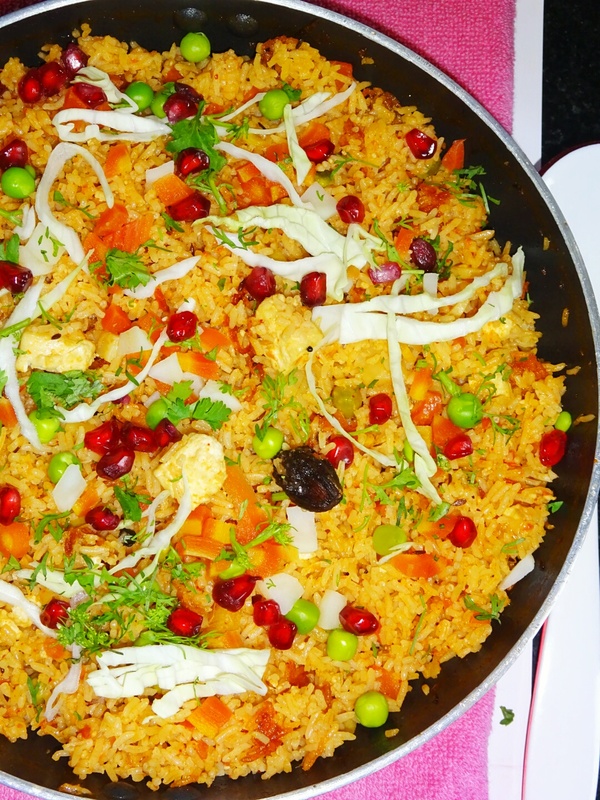 This is again my creativity. 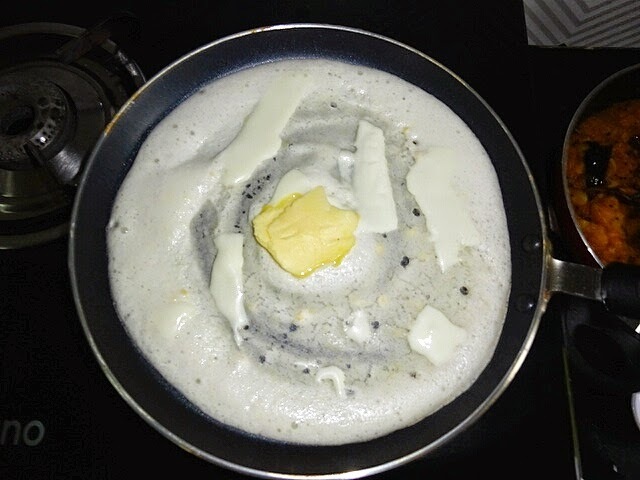 You will not discover this combination in any other blog posting. 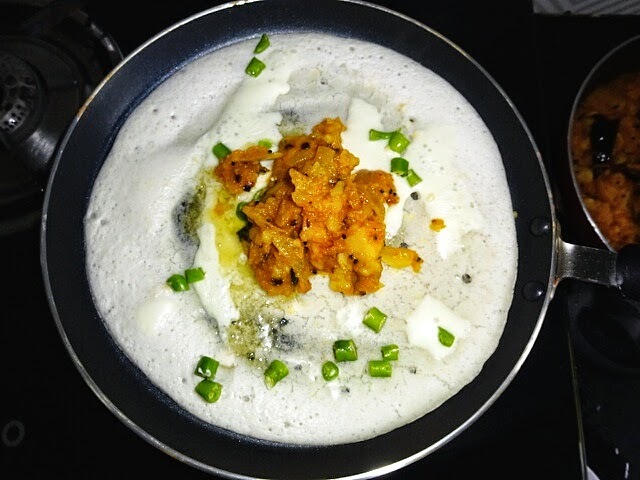 And you know what compliments I got after eating this dosa, "Never tried out such excellent combination and tasty dosa and rated as 10/10 and they extended further and said, probably not even served in five star restaurants.."
Well, I always prepare my food considering the taste and food habits, I feel very happy and satisfied when they love the food. 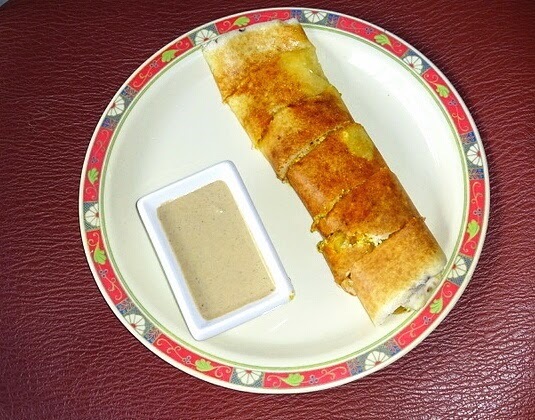 I am trusted, now my this dosa will be in very much demand like the Schezwan dabeli. 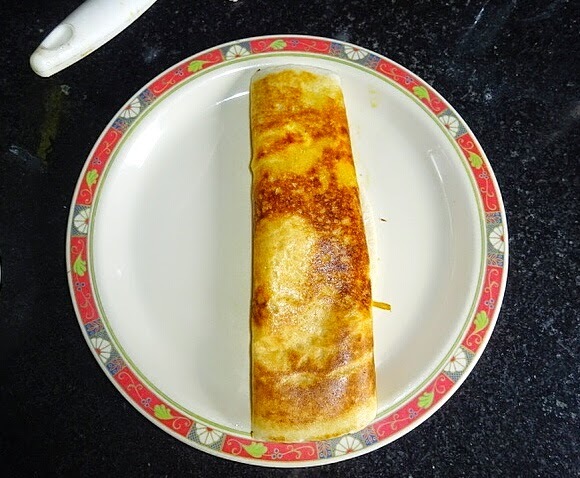 Trust me, this again comes under easy recipe, if you are good at regular Masala dosa recipe. 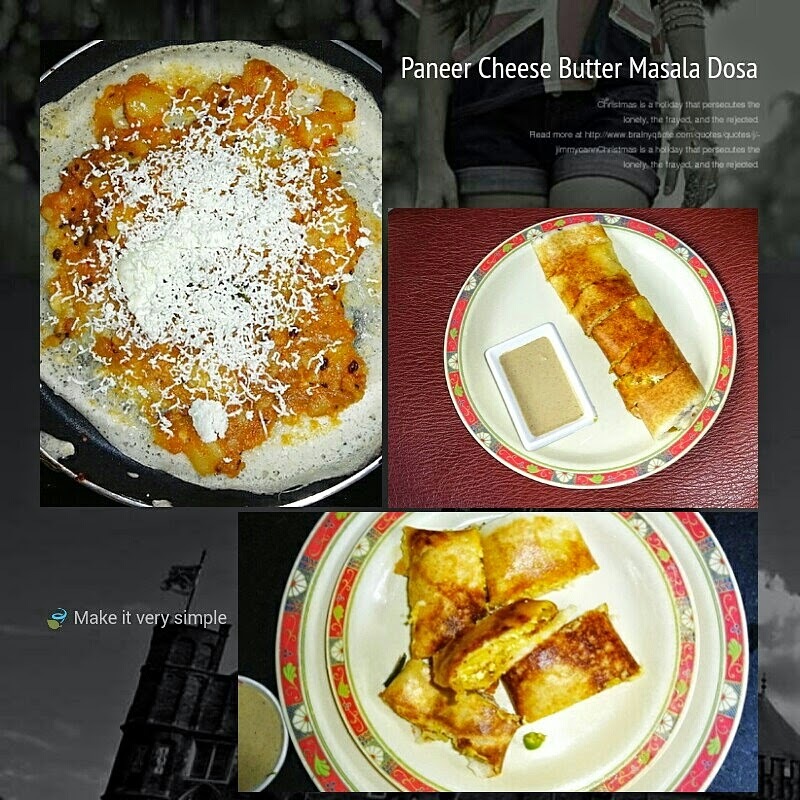 My thought process was to enjoy paneer dosa, add paneer in natural form, no processing or add any flavors. 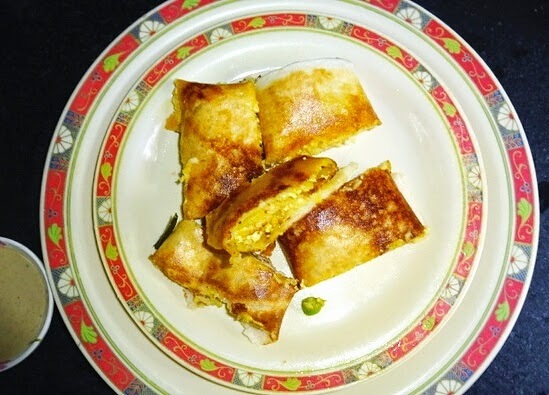 ◾ Cut cheese slice into small cubes and top with cubes of cheese slice. 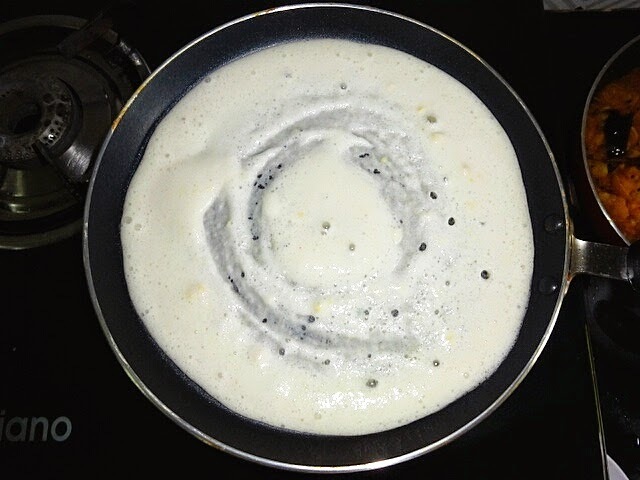 Add butter on the sides and on the surface of dosa. 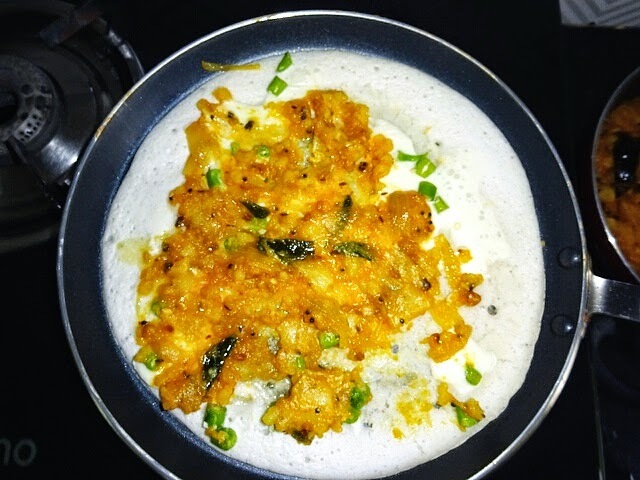 Top up with green chillies. 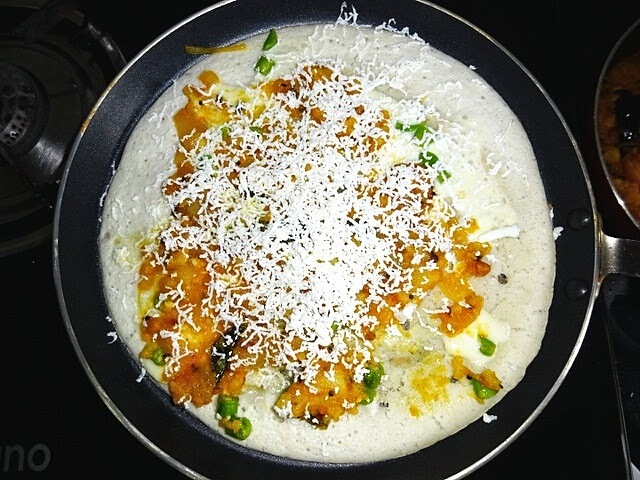 ◾Place 2 tbsp potato masala filling in the centre, then spread with spatula. 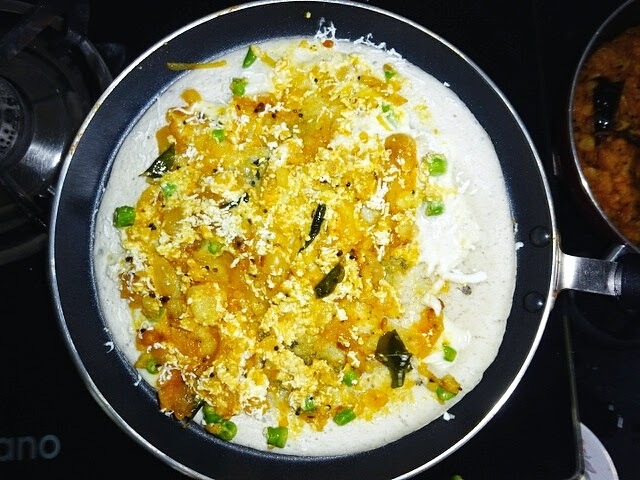 ◾ Top up with grated paneer, again spread that with the help of a spatula. 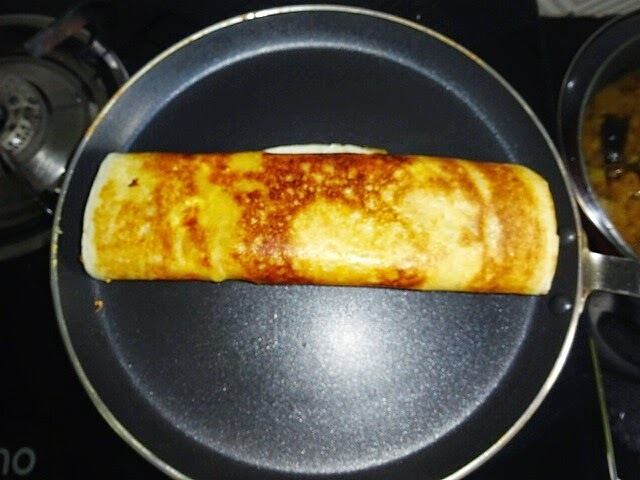 ◾ cook for 15-20 seconds, increase gas stove flame for a few seconds, (5-7 seconds) to impart color to base, fold the sides of the dosa so as to make a roll. 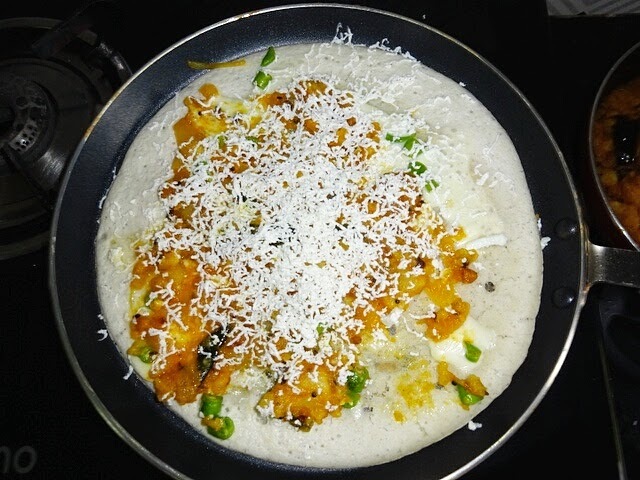 ◾Paneer Cheese Masala dosa is ready to be served. 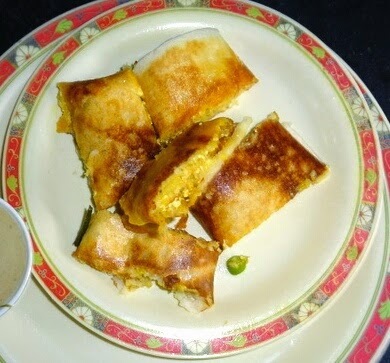 ◾Transfer to a serving plate, cut into slices, Serve hot with chutney and sambar of your choice. Green Tea with Pomegranate Juice. 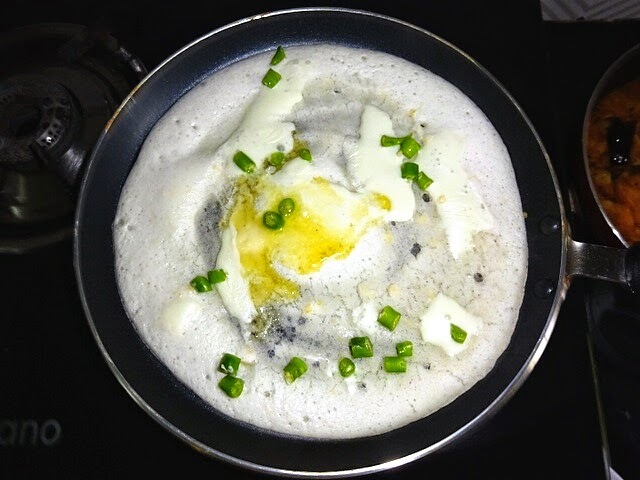 Potato Masala Recipe for Masala Dosa.